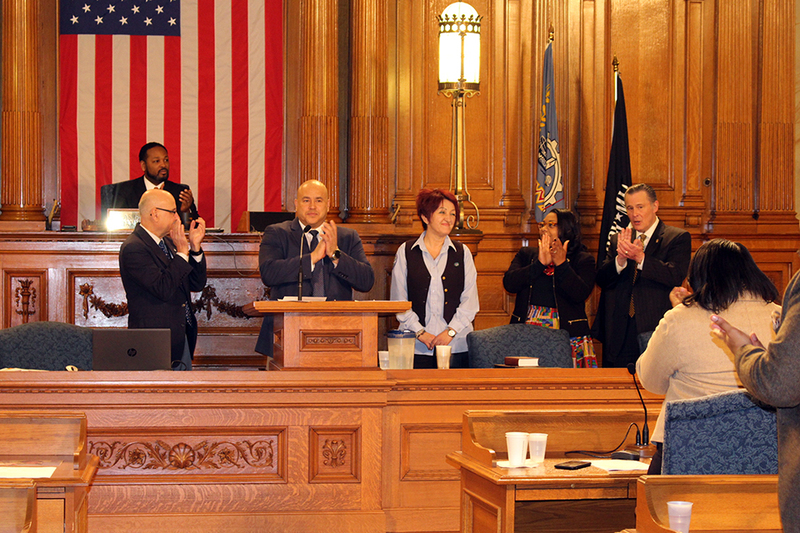 Milwaukee, WI - The Milwaukee Common Council and other lawmakers are honoring a MCTS Driver who saved an abandoned baby from a freeway overpass. Irena Ivic gained international attention in January when a MCTS Excellence video highlighting her heroic actions went viral around the globe. Common Council members gathered at City Hall on Tuesday, February 5th, 2019 to commend Irena and present her with a special plaque. Several local and state leaders took to social media after the ceremony to recognize Irena for her ongoing MCTS Excellence, including Governor Tony Evers. “Thank you for your service to @RideMCTS and to the entire City of Milwaukee,” Evers tweeted. Hundreds of millions of people around the globe have viewed or read about Irena and other MCTS employees’ inspiring actions, thanks to the MCTS Excellence program and the broad reach of social media, TV, radio, and newspapers.